I Keep Seeing 11:11, What Does It Mean? Do you keep seeing the same numbers over and over again? Ever wondered what it means? When and where will you see these numbers and how will you know if they mean something? First of all, the angels want you to ask them for help! With anything. The bigger the situation the better (and do not be shy to call in the Archangels, it is what they are there for! ).So, ask for guidance or help or a sign and then leave it open to whatever they choose on how to best get your attention. And be on the lookout for numbers! It is the easiest way for them to communicate and they have seen that more and more of us are paying attention to it, so the energy increases as the awareness increases. Digital clocks, receipts, prices, change at the store, phone numbers, advertising signs, license plates, addresses and calendar dates…. These are all ways that the angels show they are around by getting our attention, especially when the same numbers come up over and over again. Did you know that you can even focus upon certain numbers and then have them appear into your reality? It is true. And sometimes the numbers will shift. For example, I used to have the number 31 appear everywhere and then one day 13 appeared. I was actually a bit nervous at the time but had to admit that once I began to see 13 everywhere my life was improving and I was going in a really good direction. I came to respect the number 13 first of all because it reflects the moon energy (because there are 13 full moons each year). And seriously, things in my life were just flowing so well. The number 13 in the Angel Numbers 101 means: The ascended masters are with you, helping you maintain a positive outlook. The number 13 signifies that female ascended masters and goddesses are assisting you in staying positive. Also important to pay attention to your intuition, dreams, ideas and signs. If you are reading this post then I encourage you to open up to the signs and to trust your own intuition because it will only get more and more accurate with practise. If you wish to have a Number Reading with me, please advise me at some point during the reading that you wish to know the meaning of a number you have seen and I will be more than happy to help you decipher its meaning. So, have you seen any numbers repeatedly lately? Please leave me a comment and if you also state which country you are from, I think it would be great to see what the Global Angel Number Message is that is being released on the planet at this time. Thanks! Sarah is a Certified Angel Card Reader and Reiki Master who consistently vibrates at a 4th dimensional level, giving her readings a positive and eerily accurate outlook. 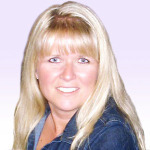 She has had 10 years of experience giving readings and is a positive force for good, and light and love in this world. I see 342 all the time. I must say for yes. 342 – Your prayers have increased your faith, and your connection with the angels and ascended masters. All of these factors help you in every area of your life. Hi Sara, I was curious keep seeing 8:26 and that is also my birthday. What could it be? Hi there! First of, that is so awesome that you are seeing your birthday number a lot 🙂 That makes the Angels so happy because they have gotten your attention! 826 means: Instead of worrying about money, relax and stay positive so that Divinely inspired ideas can show you how to make money in meaningful ways. Hope this message is just what you needed to hear! Have a fabulous day! My numbers that I see so often is 10:10 that was the exact time that my first born baby boy passed away.. Is he talking to me, or am I crazier than I thought?? Please tell me.. I see this too almost every day, 3:13 and it is my birthday as well. I also see 1:11 or 11:11 quite ooften too. What does it mean? I have seen 11:11 for YEAR now. And then my kids were born (twins 🙂 ) on 11/11 …And my birthday is 06/11. My husband also sees 11:11 and has for years . What’s the catch?? Hello Sarah… I wake up in the middle of the night quite often… and I look at the digital clock and it will show me 2:22, 3:33, 4:44, 1:11, 5:55 and not in that order particularly… and sometime when I am in the car and for a moment glance at the clock… so what does that mean seeing those numbers? I also see the number 2:23 in the afternoon that’s also my birthday what could it mean? Wow, I am so pleased to see that people are seeing their birth dates… as I scroll thru more of these comments I am going to have to see if it is becoming a new trend…. Now that I think of it, I see mine (830) a lot too lately! This is exciting! 223 means: A healing miracle is imminent, engendered by your faith and your clear connection to one or more ascended masters who have heard and answered your prayers. 3 has always been prominent in my life? hi I use to see 11:11 a few years back when I was going through alot, and I mean alot. now I am seeing, 12:12 13:13 or it will be 12:21 or 13:31 etc. what do these mean , thanks julie. 13:13 is 1:13 in military time. I see 222 a lot. it has been so bizarre lately, everytime i seem to look at my phone or clocks,, it is always 11:11…for the last month at least.. I kept thinking it was some sign, as my fiance passed away suddenly in January, i was delighted in the possible sign from him, but thinking just my weird personality 😉 thanks for this article by the way, very interesting. forgot to place my city where i am . my number is 10:21, and it shows up almost daily. Please advise on what that may mean. YES! I’m not going crazy! I see 11:11 ALL the time for the last few years. Many times I would glance at a clock in my car or at home, I would see this number in many forms..
from emails to texts and even on cash registers. My son thinks I’m silly and says that I “look” for this number and it’s a coincidence. But it happens so much it made me feel uneasy, like something was going to happen to me. I was told once that i should say a little prayer when i see this number to let the angels know that I acknowledge them. Instead of fearing the unknown. yes I have this combo in variations for around 2 years now 1144,,4411 1414 its a lot ,,any meaning to this .. I am surrounded by the numbers 573. In our phone numbers, cell and fax, in our mail box number and more. Any thoughts. And lately 4:44 is turning up?? Last 3 months at least it is 1:11 or 3:33 on clocks and if it happens once a day it”ll be seen 1:11 turns to11:11 3:33 stays but as you can see constantly and this transpires at least 3 times a week also any reason? I constantly see 333 or 3:33…. 333 – You are completely surrounded, protected, loved and guided by the benevolent ascended masters. Sometimes I see 2:22 often for a while then nothing for a while. I saw it again ystdy. Nothing since then. 2:22pm was the time my son was born back in 1993. I like in Oregon in USA. This has gone on maybe 2-3 years. I’m curious why and what it means. 222 – Trust that everything is working out exactly as it’s supposed to, with Divine blessings for everyone involved. Let go and have faith. Hi…I know angels/souls of the departed are with me. I constantly see 1025 which is my birthday everywhere. It can be an email time of delivery, it can be on the clock, receipts…it can be anywhere and it’s been happening for years. I also notice a dragon fly sometimes when I’m out…I understand about the reflection off of cars and mistaken for water but it shows up outside of a door of a business floating there…the same one from earlier. I wish I could figure it out. That is wonderful! Have you heard the story of the dragonfly? The dragonfly lives for about 2 years as larvae underwater and just when it thinks its life is over, it finds a plant stalk and climbs up it, until it reaches the surface and the air. At that moment it realizes that it can breathe and just when it thought its life was ending it begins again, as the last bits of water left on it enable its wings to expand…. And then it learns it can fly! 327 – The ascended masters are applauding the path you’re on. The more you trust the validity of your intuitive guidance upon this path, the better everything goes. 111- This number brings you the urgent message that your thoughts are manifesting instantly, so keep your mind focused upon your desires. Give any fearful thoughts to Heaven for transmutation. I saw your post on Facebook under a friends post and I just had to read it. I have been seeing two sets of numbers I have beens seeing 1010 and 1111. My birthday which happens to be Nov 11 I just thought was strange. What do they mean? Having all those ones in your birthdate such is amazing! People born on these high vibrational dates are sure to become connected to and aware of there being more to life than what we can see. In the comment right above this one is the meaning of 111. Enjoy! I see the numbers 828 a lot. I believe it was God communicating to me because romans 8:28 says all things work together for good to them that love God to those who are called according to His purpose. Any thoughts? 828 – There’s a huge connection between how much faith you have in your financial abundance and how much financial abundance you experience. Keep the faith, for it is the magical ingredient in your financial life. I am from Canada and i always see 11:11 🙂 I have also heard that leaving dimes or feathers is another way of communicating.. I use to see dimes everywhere as well, and feathers, so cool. I see 11:11 all the time, saw it today on my cell phone and the other night on my clock. I am a cashier, and see numbers all day. When I see repeating numbers for customers I always bring it to their attention, not sure if they see the significance of the numbers or not 🙂 but I do!! I am always seeing dimes every i go , I find them everywhere i go. Same,, i always see 9:11?? 911 – It’s very important that you keep a positive mind-set concerning your spirituality based career ideas. Positive thoughts are your most important asset right now. Hi my name is Louise and I am from Western Canada. I have been seeing 7:11 (mostly on clocks) very often for the last 5 or 6 years. Not sure what it means exactly but I do believe in angels. 711 means: Continue with your affirmations and visualizations, as they’re working! I keep seeing 1234, usually on a clock so 12:34. Day or night, I will glance to see the time and its 12:34. Would like to know what it means. Hi Amanda 🙂 Seeing 1234 is actually pretty special because it speaks of ascension and when you are noticing it, it most likely is a time of spiritual growth for you… Does that make sense? My num is 11:11 very often like every day and sometime 3our 4 time a days ???? Seeing 1111 or 111 multiple times in a day is definitely the universe showing you that there is so much more to life than we can see with our physical eyes. Some people call it the portal opening…. Hope this makes some sense! Hi! I see 807 all the time!!! And I find lots and lots of dimes! Any ideas?? Then it’s 2:22, 3:33, and 4:44, all in the same day!! My sister sees 1234 all the time. I like the 444 because shortly after my mom passed, I spoke to a woman who worked with her in nursing, I justbran into her and didnt know her at all. She told me what a wonderful person my mom was, and she sure was. When I got in my car, I saw 4:44 on the clock, and I just felt my mom was three. One day saw 222,333 and 444 all on same day. Awww, Anne, first of all, a great big hug for losing your mom. I lost my mom too. I am drawn to 444, 333 and 222 like you are too. I feel that our Angels and passed over loved ones really want us to know that they are ok and that they still love us and are with us even though we cannot physically see them anymore. 444 indicates the presence of angels, 333 represents being comforted, surrounded, protected and loved by ascended masters, and 222 speaks of trust, faith and Divine blessings. All in all, you are SO loved and protected. Have faith, and pray for and focus on your wants (not on your fears!). I repeatedly see triple numbers and double numbers throughout everyday for the past 6 months or so…there isn’t a day that goes by without seeing them…today i seen 222, 444, 1111.. I see 7:19 on clocks all the time lately which happens to be my birth month & day too. I’m from Canada by the way. 719…. I have not heard of that number standing out yet 🙂 Let us see what it means! 719: You’re on the right path for your spiritually based career, as long as you keep your thoughts positive. Hi I have a question.. I have been seeing 9:18 alot lately and that’s also my birthday but for a month its like wen I look at the time it’s reading 9:18 even when it feels like its still early afternoon what foes this mean please help. Oh, another person seeing their birthdate… very cool! 918 means: Your passion about your career ensures your success and support. Follow your heart’s guidance. I have been seeing these numbers repetitively since my mom passed back in March of 2011..They are as follows: 320, 1320, 1111. Mind you March 20 is my birthday. Im not sure why it is still happening after 3yrs but it still happens almost every other day that I see these particular numbers. There is a commercial that I see constantly that has all of these numbers included in the telephone number of the advertisement it is 214-320-1111..How amazing! but Im just curious as to what message is being conveyed because Im totally clueless..lol..Thanks! 320 means: God and the ascended masters are surrounding you with supportive healing love, helping you to have confidence that everything is in Divine and perfect order. What a beautiful message for you, hope it helps! I have been seeing 11:11 for years and year. Lately it is increasing again. I am currently looking for work and have a 2nd interview. Also looking for Mr. Right but at my age, the prospects are thinning. Anyway. yes, your article caught my attention because these are MY numbers too! 🙂 God bless you and may you find all the love, happiness and abundance your heart truly desires….. stay positive! And good luck! 808 means: Everything you need is supplied to you in abundance. Open your arms to receive all of the good that your Creator bestows upon you now. This abundance comes to you in many ways, including ideas, opportunities, and people who offer to help you.Be sure to notice and follow these answers to your prayers. Hi Lesley, thanks for reading and taking the time to leave me a comment! So glad to hear you are spiritual…. it is so wonderfully rewarding to be open to the potential of the unseen and the loving support found in faith! 3 means: The ascended masters are helping you – usually this means an ascended master you feel close to – for example, Jesus, Quan Yin, a saint, or some other religious/spiritual figure. 5 means: A significant change is occurring, always for the better. It’s a good idea to call upon heaven for help with life changes. I noticed everytime I look at a clock the time is usually always 10:47 but sometimes it does change and it will be 11:47 or a different number but usually it will end in 47. Always wondered why and what did 10:47 mean. Hi Tonya, that is very interesting! 47 means: The Angels say that you’re on the right path. Keep up the good work! And if we look up 1047 we get: You are surrounded by the love of God and the Angels, who are lifting you up to a happier level, speed up this process by maintaining a positive outlook. And for 1147 we get: Ask the Angels to help you stay optimistic, as they’re urging you to keep your thoughts at the highest vibrational levels. For each of the 1047 and 1147 this can also be added onto it: You are on the right path and will exceed your expectations. The Divine is supporting you and opening doors of opportunity. I will see 317 in the morning and 617 in the night. Should I be freaked out? Please do not be freaked out! And I say that before checking into the meanings of the numbers you are seeing…. Remember all is well! 317 means: The ascended masters congratulate you on your recent decisions and actions. They ask you to stay positive as you continue along your golden new pathway. 617 means: Keep going with your new spiritual approach, because it is having positive effects upon you and your life. 21 means: Your optimism is warranted! The Angels are working behind the scenes on your behalf right this very minute. You can help support the Angels’ work by saying positive affirmations and believing that your dream is already manifesting. Oh yes, do I ever know the numbers! They have been so strong the past year and a half. But not just 11:11. Many other numbers are constantly appearing repetitively. 333, 222, 444, and so on. So it’s not just focused around a certain number. For whatever reason I choose that time to ask a question. I feel as though it is my moment to talk with them and they can hear me because the door is open. Maybe I am just weird though. Is it more than normal to be experiencing this? More than one sequence of numbers constantly? Hi Laura, thanks for the great insight and taking the time to comment and share it with us all! I do not think it is weird in the slightest to talk to the Angels and make wishes at these special times! And I think that more and more people are beginning to notice this now because the veil is getting increasingly thin as our earth’s vibration has raised from 7 Hz to 13 Hz in just the past 20 years alone! Imagine that…. so where it would be hard to communicate or manifest, now it is becoming increasingly easier and faster in receiving….. So cool! i always see 11:11 or 10:10 what does that mean? Haha, the timing of your comment is not lost on me! 🙂 That is awesome!!! So, the 10 means: God wants you to hold positive thoughts about this situation, as everything is working out for your highest good. Call upon God to help you stay optimistic, as your thoughts are an influencing factor in the outcome. I am so glad to hear that you do not find it to be an evil number! I do not either…. Funny though that you mentioned seeing it in purchases because its meaning is: Your thoughts are too focussed on material illusions. Raise your thoughts spiritually to get your life back on track. hi, i keep seeing the numbers 12 and 21 every day all day. 12 is my birth date, and 21 is the birth date of someone i spent 22 years with. we’re not together any more, and it’s been 6 years, that we’ve been separated. i believe this person is my soul-mate. their birth date is 10-21, and mine is 01-12. why does these numbers follow me every where? every time i look at the clock it’s either 12 after the hour or 21 after the hour. Wow, I’d say you were soul mates too just looking at the similarity in your birth dates! An important thing to remember is that we have many soul mates appear throughout our lives, some are romantic partners, some are close friends, family members, pets… They are the ones we feel unexplainably close to and whom we really feel we are connected to and can be ourselves with. The Angels want me to tell you to not dwell on the past but live with hope and faith for the future that you can and will find a wonderful person to share your life with. 12 means: Keep your thoughts positive about the future, as what you are thinking influences your future. This is a message to keep your faith and hope strong, because these are strong determining factors right now. 21 means: Your optimism is definitely warranted! The Angels are working behind the scenes on your behalf right this very minute. You can help support the Angels’ work by saying positive affirmations and believing that your dream is already manifesting. what does it mean when we continually see 1234? Hi Anne, please scroll thru the comments as I have answered this earlier. Thanks! I always see the time 9:11 and 5:55. Hi Dena 🙂 If you scroll thru the comments you will see the 911 and the 1234 answered, but I do not think I have done the 555 yet…. 555 means: Huge changes are rumbling throughout your entire life! To keep these changes on the highest possible course, be sure to keep your thoughts positive, and stay centered in prayer and affirmations. Hope this sheds some light on the numbers for you! I have been seeing 10:23 for years. I can almost feel it in the evenings when I look at the clock. What does this mean? I must say that is so cool that you can “almost feel it”! 10:23 means: God wants you to hold positive thoughts about this situation, as everything is working out for your highest good. You are working closely with one or more ascended masters such as Jesus, Moses, the saints, or the goddesses. They encourage you to stay positive to ensure you attract the best possible outcome. Hi Jamila 🙂 I see this number a lot too! 313 means: Lean upon the positive and loving energies of the ascended masters who surround you right now, as they’re lifting your thoughts to higher levels of happy living. Hi i have mostly only seen 1111 for years now on clocks.change busses addresses.phone numbers….and somtimes i walk umder street lights and they go off or come on.. so weird. just about everything in my life involves the #s 3, 7,8 and 10 . my birth date is 012373, my husbands is 082873, daughters 081010, my home address has 773 in it.. it kind of freaks me out sometimes. Any insight? Wow Terry, you certainly have a lot of similar numbers intertwining in different ways in your life! First of all, do not be scared about it! Better to think, wow, I am really in line with life, so much so that all these numbers line up like they do. Because you all live in the house with the number 773, that is what I am going to focus on as that numbers vibration will affect you all. 773 means: Your prayers and meditations have helped you to tap into accurate and divine trustworthy Divine Guidance. Does that make some sense to you? Hope so! God bless you! I have the number 13 and 31 around me and my sibling were born either on the 13th of a month or 31 I was born oct 31 my sister aug 13 my older sister dec 13 all of different years and the number 15 my ex husband was born the 15 of oct and my ex boyfriend june 15 weird but what does it mean for me? Hi, I keep seeing 4:21…. That’s my birthday…What does it mean? Hi Carol, the number 649 means: The Angels are supporting you and your Divine life purpose in all ways. Hi, It would be interesting to know what 6.04 means. I am always in time to see the Time at 6:04 or number 604 anywhere, anytime, day or night. 604 means: God and the angels are watching over you and your loved ones, ensuring that you’re protected and provided for. I always see 11:34…. Does that mean I’m going to hell? The Angels and my intuition tell me that there is no hell. There is only Heaven. Living here on earth with it’s challenges, some consider this hell. But once people cross over there is only Heaven. I hope you can hear the truth in my words and feel some relief from it. 11:34 means: Stay positive! Your prayers are heard and answered by the Angels and ascended masters, who are with you right now. So, please stay positive and focus upon things wanted, ok? I’m from Canada , I always see the number 11:11 or 9:11 n also see the number 38 alot? What do they mean? Hi Jolene 🙂 If you scroll thru the comments you will find the 11:11 and 9:11 answered already, but I don’t think I have done the number 38 yet, so here goes! 38 means: The ascended masters are helping you with your financial situation. I keep seeing 9:11 everwhere, at work, home out shopping, what does that mean? i have been seeing alot of 555 or 777. I see the numbers 611 all the time. I see it when I randomly look at a clock and many other places. It is the birthdate of someone I have feelings for. What exactly does that mean for me? 611 means: The words that you think, speak, and write are determining how things go for you, so focus on your desires and positive outcomes. I keep seeing 11:11 and it`s been years…the freaky thing is that it`s my birthday, November 11th and every 11 years someone dies….found my father dead of a heart attack at the age of 11, became a widow at the age of 22 after a horrible work accident and lost a niece frrom gastroenteritis complications when I was 33…I am now 41 and these numbers scare me :-/…what will 44 bring to me…. Oh hun, I really hope you come for a reading with me so we can help you work thru these things and connect with your Angels to find out what loving advice they have for you. Sending you light and love and surrounding you and all your loved ones in a bubble of white protective light. Be blessed. I always see the numbers 666 what does this mean? I have been seeing the time 8:10, usually at night. Also the numbers 7 and 9. Either together or seperate, even in grocery bills or bills it’s self…. 810 means: Give any money worries to God, who will lift your faith so that you can attract the highest experiences and the best possible outcomes. That is definitely a positive sign that you are connected to all your loved ones who have passed on. Please know these signs are a positive thing and a reason for celebration and nothing to fear! I was seeing 11:11 everywhere for months and now I see 11:12. Another number that always seems to resonate with me when I see it is 11:18. This is so fascinating because I sense there is some sort of message or connection but I can’t seem to figure it out. Hi. I don’t see numbers but I keep finding dimes all over my house over and over again! Do you know what that means? I always see the numbers 9:11, 666, or 3:33 sometimes 11:11 too. I have bad anxiety and worry a lot. When my daughter moved away to college in September I kept finding feathers in the weirdest places. She also painted my nails before she left with a feather on my thumbs. She moved 2 hrs away to Ottawa. Hi Wendy, I cannot stress enough how important it is for you to stay positive in your thoughts because it the healthiest option for you and for your daughter. I feel that the feathers are a sign from your Guardian Angels. They are trying to lift your spirits. I am including you in my daily prayers, and if you want to connect with me to get some clarity on the situation from the Angels please do not hesitate to. Sending Light and Love to you and your family. I constantly see 303, everyday, everywhere on everything! I never miss the time. I’m from Canada! 303 means: God and the ascended masters have heard and answered your prayers. So, pray for what you want to bring into your life because they are listening! My wife and I have been following (paying attention) to the numbers for years. Lately I’ve been seeing the numbers 354 Everywhere..
354 means: Heaven is helping you change your life for the better. Waking up at 3:33 every day is pretty cool! It is a sign that spirit wants some time with you. I would highly recommend you try to do a little meditation and then go back to sleep if you need to. But definitely enjoy this time of day as it is the time when the veil to Heaven is the thinnest! I see 11:11 or 1:11 almost daily…. I see the numbers 88 and 888 every day somewhere. More often it’s just 88, but I do see 888 as well. I’m from Alberta, Canada. This is a great number! 888 means: This is a very auspicious sign of complete financial support from the Universe. Money is flowing in your direction! Thanks Lisa for taking the time to read and comment 🙂 There is nothing a blogger/writer loves more than to know that people have read her writing! When you see the numbers as often as you do it is showing that you have a high level of awareness. Nothing to worry about, it is all good! Awww, this is great! I am so glad to read that you are trusting the intuition you are receiving! 🙂 It is pretty neat isn’t it? I’d love to do a reading for you as I feel a connection to your energy… It feels like a kindred spirit! Sending Light and Love to you and your daughter! 420 means: Your prayers, faith, and open heart have created a clear connection between you and the Divine. You’re being lovingly helped by God and the Angels right now. i always see 911 and 901, what does that mean? I keep seeing the numbers 9 1 1 or 11 11 all the time… wondering what it means! 901 means: Stay in steady contact with God concerning your spiritually based career, and follow your Divinely guided intuition with confidence. I keep seeing 4:44 on my digital clock. Can you explain this? The number 1111 appear to me quite often. Im also seeing the number 222 on many occasions. I have noticed that these numbers appear to me for periods of time in my life, I live in Windsor Ontario Canada. Sending Light and Love to you! 11:34 means: Stay positive! Your prayers are heard and answered by the Angels and ascended masters who are with you right now. Hi! my name is Courtney Gallaway and I live in Canada. I always see the number 9:11! Hi Sarah, This is kinda freaky me out but for the last 5 months or so every day no matter where or what I’m doing I have been seeing 3 digit of the same numbers and they range from triple 1 to triple 9. Why I’am seeing these all the time every day ? Hi Karen, I feel that this is a sign for you that you are becoming more spiritually aware and evolved. It is a great sign! Ask the Angels for signs to give you guidance in your day and I bet you end up getting further signs, besides the numbers! Hello, I live in the USA. I see several repeating numbers. One that I see very often is 749. This was my late father’s employee number that he played in the lottery very frequently. His first birthday after he died, that number hit on the daily number. I felt it was a sign from him. Each time I see it, I smile, pray for him, and talk to him. And lets see what it means in Angel numbers…. 749 means: The Angels say that you’re heading in the right direction with your career choices. Ive seen the numbers 3, 7, 13, & 31 randomly anywhere since I was younger. I say these are my lucky numbers but still dont know why? Hi Amber, you know, you may never fully know the meaning of seeing all these numbers BUT, the fact that you know they are lucky for you and can use them as your own personal oracle and extra guidance when making choices… That is wonderful! The specific number meanings are in the above comments but really, this message for you is that you are aware and in the flow of life. You take the time to notice the small details…. That is priceless! I see the number 44 EVERYWHERE! 515 means: You’ve adopted a new, much more positive approach to life.This may mean that your relationships and other aspects of your life will change… and for the best. What a great message! Hope it rings true for you! I have also been seeing 1111 for several months. Now I also see other variations of numbers such as 222, 333, 444, and so on. More often than not it is the 1111 that I see. I’ve read the explanations above so no need to respond. At first I found it a bit scary, but now it is comforting as I believe God is watching over me. It is nice to see there are so many others that are having this same experience. I am so, so glad that you find comfort in it, because that is exactly what it is intended to do! 23 means: you are working closely with one or more ascended masters such as Jesus, Moses, the saints, or the goddesses. This is a message from your ascended master guides, who can see that the answer to your prayers is within reach. They encourage you to stay positive to ensure that you attract the best possible outcome. First of all I have to tell you that it is a wonderfully blessed thing to see the same numbers repeatedly and that if you see them multiple times in a day, it is a sign that your Guardian Angels are near and sending you Love. Hi Amanda, very cool that you are seeing the significant numbers in your life repeatedly 🙂 It is a GOOD thing! 19 means: Believe in yourself and your Life Purpose. The Angels want you to know that you are qualified and ready to follow your dreams. Stay positive and take action without delay. 27 means: Congratulations! Your optimism is attracting wonderful situations and relationships. Stay positive as this attitude is working in your favour. There are two times I see. 9:11 and 9:37. And yes I saw 9:11 for years before the attacks, but still see it often, several times a week. 9:37 I only see maybe once or twice every month. It is always interesting to look back after an event and realize all the signs we saw leading up to it, that can only be certainly understood after the fact… One reason I love reading Angel Cards for myself and others is so that we can find some direction and be shown signs that give us clues on how to best proceed. And also, when we look back after having Angel wisdom and going thru any big change in our life, we are shown how much that Angel advice really did help to keep us calm and grounded and surrounded by their love. It is a way to let them into our lives. 937 means: You’re on the right path of following your Divine guidance about your career and Life Purpose. Stay in prayerful contact with the ascended master. I have seen the numbers 333 since I was a young teenager, so over 40 yrs. 333 means: You are completely surrounded, protected, loved, and guided by the benevolent ascended masters. Hope you have a truly beautiful and peaceful day! I always see 422 and 922 and 730 for my birthday. What do the first 2 mean I see them on a daily basis. Thanx for your insight! 422 means: This is a strong message from the Angels asking you to trust, believe and have faith that your prayers are being answered, because they are. 922 means: Hold the faith about your divine life mission. You are qualified to fulfill this mission and are supported in all ways. The more you trust and have faith, the better everything goes. 730 means: you have a clear connection with God and the ascended masters, and you’re accurately listening to and following their divine guidance. Hi, I always see 3:14 — it can be AM or PM. It has no significance as far as I know…! 314 means: Your success is guaranteed, as you’re surrounded by Angels and ascended masters. All you need to do is keep your thoughts focused on your desired outcome. I , for years saw 11:26. When I married my husband , found out his mother’s address is 1126~ also, see 8’s and 4’s alot~~? When you saw 1126 for years and then found out your m-i-l’s address is 1126 that is what I call a “wink” from heaven that the angels sent to you to let you know you made a good choice. 8 represents abundance and prosperity, and endless flows of time, money or ideas for whatever you require. 4 is showing that the Angels are with you. They send you the number 4 so that you know they are listening to, and answering your prayers. Whenever you see the 444 it means that the Angels are with you. 969 means: Your career will be even more fulfilling and successful when you completely trust in and follow the Divine wisdom and love that is all around and within you. 696 means: Put your focus on following your spiritual calling, and you material needs will be met. And please know too that your dad is always with you and sending you lots of love from heaven. good morning, I live in Ont., Canada. My reoccurring number is 18. I assumed it’s because my youngest daughter was 18 when she was killed by a drunk driver 22 months ago, but I’m curious about your take on it. Oh Tanya, my heart goes out to you…. Because you are seeing the number 18 and it has the meaning connected to your daughter, it could very well be her way of connecting with you and not necessarily be a meaning that I can find for the number. Have you noticed butterflies or birds at all? That will come close to you or behave oddly? Those are also signs from heaven that our passed on loved ones sends to show their love for us and to console us. God bless you and I am including you in my prayers. I always see the number 5… Mostly in sequences!! Hi Sarah! In the last few years I have been seeing the number 313 all the time! I have been told it’s Angels and I believe. My birthday is March (3) 13th. What does it mean? Hope this answers your question as to the meaning Zulema. God bless you! Im always finding dimes everywhere i go. Whats this mean? Hi Carrie, do you have any passed over loved ones that you were very close to in life? Usually dimes are a sign that a loved one leaves to lift our spirits…. 417 means: The Angels want you to know that all of your positive affirmations, visualizations, and prayers have put you on the fast track to the realization of your dreams! What a great message! Does it make sense to you? I see 12:12 pretty much every day…..Thanks for helping….reading you is very interesting…. Awwww, thanks Sylvie! I appreciate all the people who take the time to read my articles! 🙂 It means a lot to me!!! So, because you see 12:12, I feel that it is the number 12 strengthened…. does that make sense to you too? 12 means: Keep your thoughts positive about the future, as what you are thinking influences your future. This is a message to keep your faith and hope strong, because they are strong determining factors right now. So, stay positive, keep the faith and trust that all will be well! There is nothing to fear when we see numbers over and over again. Really and truly it is all good and, it is really important for our own sense of well-being to not let fear grip us. 34 means: Your prayers are heard and answered by the Angels and ascended masters, who are with you right now. I always see the #444 and 11:16, which is my birthday. What do those two numbers mean? 11:16 means: Stay positive! Your thoughts are materializing rapidly so, focus on the good. Your words are magnetic affirmations that draw to you the very things you talk about and think about. The Angels are reminding you to be aware of your thoughts and your words. I see 33 Everywhere all the time. I see 33 everywhere all the time…what does it mean? Hi Sarah, thanks so much for helping so many people answer their number questions. Very generous of you! I have been seeing 231 for at least 10 years. Can you please tell me what that means? Thanks so much! 33 means: You have a strong and clear connection with one or more ascended masters who have answered your call and your prayers. Keep talking to them as they’re helping you with your present situation. 17 means: The Angels applaud you for staying positive and optimistic. They say that your optimism is warranted, as your affirmative thoughts are coming true. Keep up the good work, as you’re on the right path! 23 means: You are working closely with one or more ascended masters. This message is from your ascended master guides, who can see that the answer to your prayers is within reach.They encourage you to stay positive to ensure that you attract the best possible outcome. 222 has been answered above if you scroll thru the comments. But 440 has not come up yet…. here is your message. 440 means: God and the Angels love you very much and are helping you through this situation. 2:22 I wake up often @ 2:22am and have done so for decades. I always thought it meant I would die @ 2:22am. 715 means: The changes that you’re making or considering are exactly the right steps for you to take. I’m a little weirded out right now. My grandmother, Nana (aka my best friend) passed away Jan, 2013, two days after I found out I was having a miscarriage. Then I started seeing the number 13. A coworker passed away in March 2013. A friend passed away in May 2013. I started seeing 2’s everywhere. I see 12:34 almost daily. I see 4:44, 5:55, 222, 11:11. Everywhere. All the time. I have wondered if the dragon fly is my totem animal. So today I see that 13 is a number for you. I see you writing about the dragonfly.On June 21, 2013 our town had the worst flooding ever (High River, Alberta) – it was insane and the entire town was evacuated for 10 days….some much longer. Our home was spared. I started believing in guardian angels I think. I won a contest from a radio station…a shotgun wedding…we were notified we won the contest on July 12th and we were married on July 13, 2013. I shaved my kid for a kid in memory of my friend and my Nana, one year ago on Oct 9th. A week after I shaved my head, I counted my braids because I was giving half to Angel Hair for Kids and half to a high school friend’s daughter to help make wigs for them. The girl has alopecia. There were 13 braids. Do you understand why I’m currently a little freaked out? K so I read up the thread and I’m not freaked out anymore. I have been reluctant to think about last year but have been wanting a sign from my Nana even though it’s gone so far as finding a note from her in a old box of shoes. I am reluctant to let her go. I don’t want to face it but I see her everywhere. I know this. I expected her to be with me forever. But my grief is overwhelming. Sorry. I’m babbling. I’m crazy emotional sometimes and then I feel weird about it. Can you please delete all comments? I feel very vulnerable all of a sudden. I would really appreciate it. I see my doc regularly and I am actually a very positive person and supportive friend. All my friends appreciate my optimism and positivity. But I sound a little crazy in these comments and I’ve got where I live in them ( sort of) and I’d just really appreciate it if you would delete them. I think I just needed to talk a little about her today. Thank you. And sorry for being weird. Oh hun, you are an absolute sweetheart and there is absolutely nothing to fear or be worried about. I do not have the ability on my end to delete a comment, but please know that your feelings are ALWAYS ok!!! I think it is so very good to talk about our feelings and get them out…. Because if we think too much and don’t share it with anyone, that will not be healthy for your body. Because our body, mind and spirit are all connected. What you did here by sharing your feelings is such a healthy thing to do. You wrote about what worried you, read a bit, and then felt better, but then… you went back to worry again. (hugs) If you can learn to let your feelings out with people you feel safe with (or a journal to write in if there is no one to talk to) and then make some peace with it, and then just let it go, you will find so much more peace and calm in your life. The fact you care so much is heartwarming. Just do not let your thoughts scare you, ok? And the number 13 is a wonderful number to see in your life. And you probably saw it so much because your Angels know how wonderful, kind, caring and sensitive you are and they were trying to comfort you, but instead it scared you. That’s ok to be scared, just do not stay stuck there. If you want to connect with me again, please feel free to visit me thru chat or text on Life Reader… I would love to deliver your Angel’s messages to you as I am certain they will comfort you. i see the number 3:33 a lot! I wake up to it about every morning! Does this have any significant meaning?
. I still occasionally see it but now I’m seeing 11 11 and 1 11 all the time. why do you think i see those combinations? Hi Sarah for the longest time I was seeing 9 11 every time I turned around At least three times a day. I still occasionally see that but now mostly I see 11 11 and 1 11? Do you know what those combination of numbers mean? I am always seeing 1111, 111, 333, 444 and 555 on a regular basis, on occasion 32 or 23. “8” …. the number is 8 is constantly around, it is not my usual number, but even when asked for my odometer reading the other day (over 300 000 km) there were 4 eights in it!! Hi Sarah B. I read all the comments and noticed the number i keep seeing lately is 9:33 or 933 has not been mentioned. I would love it if you could tell me what that number means. Thank You. I see 11:11, 12:12 and 3:33 almost every day for the past 3 months. 11:11 is the most frequent. 12:22 seems to come up daily on my clock in the am or pm, my phone, receipts, TV etc. It seems since my grandfather past away I see it frequently. Not sure if it relates to him. My grandmother called me the other day for my birthday and she called at 12:22pm. Little things like that. Good evening, I see number patterns alot. I see 3:33 or 2:22 or 1:11 but it’s always the same 3 digits….is there any significance to that? I guess 555 means fire, because a guy set fire to my son. He’s in the CCTC. It torched my home & another boy and my sons dog were in the home (they’re ok)…PLEASE PRAY for my SON. I,ve been seeing 905 everytime I look at a clock! It,s been in my life for the past 4 years> The back story is my soulmate passed away suddenly 4 years ago and the number comes from our past when we were a couple in high school. The number is a who song 905 and the name of his cat at the time!! I know it.s him telling me he is still around. We were going to marry when I moved back to Michigan !! I love him and miss him so much!!!! My husband has been seeing 10:10 for at least 3 years now. Not a day goes by that he does not see it. He was told that a angels was trying to tell me something. He was also told that the Archangel Micheal was close to him. Now Ive started seeing 10:10 all the time. Im trying to pay attention to my surroundings when it happens, trying to understand what they want to say. He also has dreams sometimes that he is flying and that he flaps his arms as if they were wings. I see 3:33 a lot it always seems to be on a clock of some sort,It can be day or night. i keep seeing the number1234 or 12:34 am or pm??? I use to have dreams about my husband’s father who is deceased and I never met before. We would speak in every dream, sometimes I would remember what he said, sometimes I didn’t. He even told me to take a pregnancy test in one of my dreams and I did when I woke up and the pregnancy test was positive. I was pregnant and now we have our daughter. However, I would always wake up at 3:33 am every dream I had of him. Also the other numbers that me and my husband always see is 11:34. What do these times mean? I was told that 3:33 am was not a good thing however, my dreams of my father in law have always been so pleasant and made me happy. Thank you! Daily I am seeing 111 and 444, be it my speedometer, an address, km left to empty on my car and often 111 and 444 at the same time in the car. And at night almost every night I wake up and it is 11:11 and seems lately I look at my watch or a clock and it is 11:11! MY DAUGHTER AND I TEXT DAILY AND SHE ALWAYS SAYS I LOVE YOU OR VISE VERSA AT 11:11 IT’ BECOME A THING NOW. Whats this about? I have written before and have not yet received sn email. I keep seeing 444 or 555, or just duplicated numbers frequently. My mom just recently passed away and i want to believe she is trying to send me a message. Please help, i would like these tears to stop. Thank You kindly. P.S. I live in Canada. i have been seeing 717 for several weeks now too. I am from Toronto, Ontario, Canada – for almost 3 yrs now I keep seeing the numbers 4:44. I wake up in the night at 4:44 or look at my watch in the afternoon at 4:44. I always see 1134, which I understand is also HELL upside down. I see it everywhere. About a year a go I started to see the numbers 11:11 sometimes three time a day. Once my digital clock stopped at 11:11 which I thought was strange because if you unplug your clock and pug it back in you will see 12:00 flashing. To this day I still see 11:11. I know someone is trying to get my attention. why would I be seeing this 11:11. I hope you can shed some light on this for me. I see 11:11 ALL the time, so when I saw this on facebook, I had to check it out. I keep seeing 66 or 666 what does that mean plz? I’m wondering what you mean by seeing numbers. Do you mean you look up and spy the clock at the same time, or you are just looking around and there the numbers are? I’m unsure what you mean. This has to be one of the most insightful articles I have ever read!! I completely believe in the significance of numbers in our lives…. over the years i see 3:33, 4:44 and 5:55 ALOT when looking at the time. Before my 21st birthday in 2011 I had a dream that I was going to die before k turned 21. My birthday is 2-12. Ever since that dream I have seen the number 212 EVERYWHERE! What does this mean?! Even as a child, the number 8 has always been prominent in my life. I have been seeing 10:22 a lot lately; this is also the birthdate of my middle child (male). 116 are the numbers I notice the most. Scrolled thru all the questions and didn’t see these numbers talked about. Also my address is 28555. I keep seeing the numbers…..333 together! I see them a lo! What does this mean? I have seen this set of numbers many times before and after my mothers passing on March 10, 2014! I am nervous and have high anxiety all the time! I miss my Mom so much, my heart is broken! I feel like this may be a lucky number or a house number….my biggest dream is own my own house…I have never owned my own house! I feel like she is directing me towards this number…could I be wrong? hi I been seeing for over a year now double digits everywhere I look. clock, signs, plates on cars, receipts everywhere….. This is a great article – very interested because for months I’ve been seeing 11:11 on clocks, mobile phones, computer screen clock… It was freaking me out so I started to post it on Face Book every time it happened. The thing with me is that I have been through a horrible divorce, and its changed me deeply so am wondering if this 11:11 is angels trying to help. I believe I have a guardian angel and maybe they are helping me get through the life changing event. Thoughts? this happens to me frequently as well. sometimes i will see 11 past the hour, every hour, all day. I have seen several numbers. Often when I just happen to look at a digital clock, I will get a set of same numbers. It varies though but seem to see 333 or 111or 444 more often. This happens almost everyday. Any thoughts on that? I see 4:44 a lot on my digital clock,,,, any significance? Hi I have been seeing 11.11 for a couple of years now and some more times than others, I could go a month without seeing it and some days maybe 2 or 3 times, also 1.11 – when ive seen this something bads actually happened twice so I don’t really like seeing this 1.11. I saw 1.11 in a dream. also see 11.11 in dreams aswell. I have been seeing 11:11 and 12:34.
i did not see the number 1020. For 12+ years I would catch that time twice a day on a clock, microwave, or what have you. And if I didn’t mention it one of my kids would yell 1020. To this day I catch it it maybe once a day four or five times a week and or get a phone call or a text 1020 lol yes from one of my 4 children. Try stopping the gas at ten dollars it would stop at 1020, weird. I have no luck what’s so ever in scratch offs or lottery so don’t bother with them. Almost forgot 1020 is also my month and day I was born. I would really love to hear anything about the meaning for these numbers thank you. I have seen the numbers 6 11 a lot for about 1 to 2 years now. I was born on 6 11 and have thought it meant that since I saw those numbers a lot that is meant something good would happen on my birthday, but so far nothing out of the ordinary has happened on my birthday so it must mean something else but I have no idea what it could mean. Hi, my friend and I keep seeing numbers but we see different numbers. Which is why I want to read this article and book. She sees 111 and I see 247? What does these numbers mean? I tend to see 9:11 or 666. Which then freaks me out. I dont want to see either of those numbers.Because then of course I think of Sept 11th (which not just the attacks ,but my son was born that week and my dad died the day after I had my son) and then of course I dont want to see the other number because well, the obvious. Hi. I have always seen my birthdate, 523. Shortly before my father passed I started his birthdate 323. I still see them every day. I often wonder if it means anything, or if they are just reminders of warm memories. I see 11:11 a lot. I have a son that was born on 3/3 and the time was 11:11. I sometimes wake up out of a deep sleep at 11:11 also. I am always seeing 10:19 . (It ‘s my birthday).I see it in the morning and at night ,always those numbers.Out of no where i will just glance at the clock and there it is.Any meaning to it ? my number is 22 times i clock in or out at work seem to have 22 in them a lot and clocks everything has 22 what could this mean? 314 or 3140 are evrywhere? I see 10:19 frequently which is my birthday, also my daughters which is 4:13. Also, dragonfly’s I remember seem to have fluttered around me during very trying times of my life, I thought it was a sign from my deceased father … any thoughts please? I keep seeing my daughter’s birthdate 10:17 or something very close to it…This has been going on for several months. This is her “golden” birthday -she just turned 17. I have been seeing 8:11 for the last several years. It’s almost unreal when I look at a clock it’s 8:11 and yes it is my birthday too. I met a guy friend and he was so happy it was my birthday day because it is also the day of his sobriety of 30 years ago. I’ve seen the number 10:36 on the clock in the am and pm for several years. Whenever I glance at the clock there it is. Coincidentally, The house I grew up in and the house my parents still own is 1036. It started with 313, associated with my late uncle, who appears to have kept in contact through flickering lights and other instances. Driving from West Allis, WI to Milton, Canada, I was tired and wanted to stop at a motel. I stop in one that’s expensive, but right on the counter including the streak of yellow (He drove yellow taxi number 313) was the number 313. The woman said it had fallen off of the door. Now it’s 313, 303, 1111, 111, 333, 911, 1011, 1211, and 311. Most of the time it’s 1111, 313, 303, and 111. I don’t know how to interpret them. I have been seeing 1:11 11:11 for many years now it has been really freaking me out, should i be worried? I keep seeing 444 and I have no idea what this means. I wake up at exactly 4:20 most nights and see the number everywhere. I’ve been trying figure it out, but I can’t find anything to relate it to. If you could help that would be excellent! I keep seeing 1111 all the time, what does that mean!! Just saw again yesterday and open facebook and they are talking about it again. I have seen 7:17 for years. My birthday is July 17. I wake a few times through the night but the time I remember, or look at the clock, is always 3:36. I am constanly seeing the number 7:47 usually on a digital clock of some sort. I do see variations as well. The hour may differ but the minutes are always 47. What is weird is that just a few moments ago I looked at my clock and it read 6:47… Not ten minutes later I logged onto facebook and this article was a suggested site on my facebook feed. Too weird. It has been over a year maybe even two since I started seeing the 747 number. Any significance? i keep seeing 17 everywhere . And the number 7 even more often .. Up to four times a day. What significance is the number 17?? i see 911 all the time….have for several years…would love to know the meaning behind this.. I see 4:44 on the clock constantly – what does this mean? I keep seeing the number 222 it catches my attention all the time and I also find dimes everywhere especially when I’m upset. I’ve been seeing triple numbers a lot. 111 to be exact…. it is my favorite number… seen it twice the other day, and asked my angels to show me again if it was them….. and sure enough it showed up again…. makes me feel so not alone in this world… I feel blessed… and I pay attention to what is going on, or what in thinking when they appear….. thank you for the post.. I really enjoyed it..
mine was 11;11 for most of the times but its beeb changed i was so busy to remember it i will let u know soon i was feeling this is a sign but what from where ? what does it mean where are they ,some body is guiding and helping me i can for sure feel that cause they know iam alone. I see 11:11 all the time and always associate it with my Mom who passed away 12 years ago. Hi, I been seeing the numbers 12:12 and 12:34 a lot. When I see 12:11 or 12:33 on a digital clock, I tend to try not to look at it until I know that those numbers are passed. It’s freaking me out, how often I see those numbers. Can you please tell me what they mean, if anything. I always see the number 11:11 or 111. I also everyday see the numbers 444 or 555 and sometimes 222 for many months now. What is it that they are trying to tell me? I’ve noticed 1111 often and recognize its something but not 100 percent sure what it means. I Believe in Angels.. and the higher power.. with a passion…they’ve been all around me since I can remember.. I’ve always felt the presence… seen signs.. of all sorts… had dreams with great meaning.. been helped and protected in many ways.. just didn’t understand it at first.. but have been receiving more and more information as the years go on.. Sarah ..I’m thrilled I came upon this sight.. more info handed on.. thank-you.. I too have loved ones.. including my parents.. passed on.. that have been paying me visits.. and I believe re-incarnated around me.. numbers have also been a repeat thing in my life.. now I understand why.. God’s Blessings be with you also Sarah..
Hi Sarah, the last year has been a real struggle for me health wise & money wise. For the longest time I was seeing 11:11 and that would always reassure me and get me through. Now, for the past week, Im not seeing 11:11 but 3:16. No matter where I am or what im doing I keep seeing it. Any insight on why this has changed and what 3:16 means? I think I know but Im not sure if Im correct. Can you help me please? I see 10:06 all the time…it also happens to be the time I was born which is pretty cool…I’m in north bay Ontario….I really enjoyed reading everybody’s comments! I see 10:13, my birthday, and always different variations of 123? Canada 🙂 Forgot to mention that….. 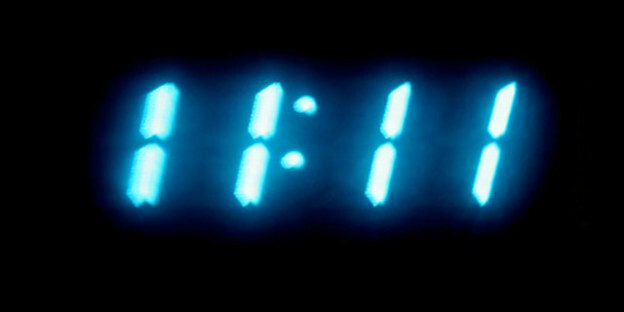 I keep seeing 1111, I tell my angels my wish, to be with my love…. am I right? My twin sister passed away the day we were born: 10/24. My husband and I always see 10:24 on the clock, receipts etc. We also see 1104 and 2106. I’d love to know more about these. What a great article to help reassure us of our winks. Thanks! Hello, I am from Michigan, my husband passed away 2-14-12 (committed suicide) since then I see 222 all the time, everywhere almost daily, but I don’t understand it, does this have anything to do with what we went through? Thank you, God Bless. hi i keep seeing 313 or133 all the time just wondering what it mean’s my son’s birthday is march 13 so it must be connected to him.he is going through some difficult time’s right now so am wondering what it mean’s would love a reply and thank’s in advance. Hi Sarah, I have been seeing 11:11 since I was a child. Lately, add to that 2:22 and 5:55. Ottawa, Canada. i see sequences 3:45, 4:56, 5:43 on clocks, almost daily. My friend keeps seeing 9’s and 6’s in everything and slightly worried due to the association these numbers have with the darker side?? What is your take on this? New Brunswick, Canada Thank You! The number 25 and 777 clock times 4:44 and 3:33 what do these numbers mean for me? My number is 222, see it numerous times thru out the day. It also was my family home address , the home in which we are all were born and raised in. Also, I am now 48 and every morning on my way in to work I get the number 9 flashed at me? If I try to ignore it and say it means nothing, I will see it even more… any relevance? I always see 3:16 on the clock…I have read all the comments and noticed no one else has inquired about this number…does than mean imm different or special..lol. I would like to know the meaning of the number please.. Thank you. ps. I am from Alberta in Canada. I see my birthday, 10:23, a lot! Everywhere. All the time. What does this mean for me? In Leduc Alberta, Canada. Your insight would be greatly appreciated. We are in London UK and my husband keeps seeing 9.11 which freaks him out. It would be great to explain to him what it really means. I have seen 11:11 since I was a kid… it used to scare me then. Now I wake up at almost exactly 3:33 ( not every night ) , I was born at 3:30 in the morning. I see all the repeating ones ,1:11, etc. Why? Hi I see 11:11 alot an also 11:10 /10:11 ive got 2 boys my oldest was born 11/10 an my second son was born 11/08 and now im having a third child an the dr told me my due date is 11/10 also the same as my sons I was so shocked but amazed at the same time I would really love to know what these numbers mean for me please or for us I feel there is definitely a connection going on so I would really appreciate it if you could help me figure these out. I started seeing the time 9:11 on my phone almost every day for about a month, then I started seeing 11:11 and 7:11. Most recently the time 10:10 has also been included. My friend and I have great fun with it as it has become almost a daily thing to snapchat each other the time because we have both started seeing the same numbers frequently and it has become a sort of game. I can’t help but wonder how it happened though. I was literally screenshotting 9:11 on my phone every day to make sure I wasn’t just seeing the time wrong or going crazy. I see 11:11; 10:10 and 1:11, 2:22 and so on. I always tell myself to listen up and be aware, but not sure what they mean. Hello, I’m from California, USA. Starting in about 2007 I kept seeing my birthday numbers, 416. I saw it everywhere and on everything. In 2008 my Aunt was killed on my birthday, 04/16/2008. Ever since I fear that number. Since my Aunts death my birthday hasn’t been the same and everything that could go wrong, goes wrong. I’m to the point where I don’t even want to celebrate it anymore. I go through times over the years where I still see 416 a lot! Please help me figure this out. Thank you!! This entry was posted in Angels, Inspiration, Karma, Prediction, Sprituality, Superstition on September 2, 2014 by Sarah B.